Google is best known for it’s popular search engine. However google also sells other internet related services and products such as advertising, search engine, productivity tools, enterprise products and various other products. Google also has an advertising service which includes Google analytics and adwords. Google analytics helps owners of website to get various statistical and graphical information relating to their website. Google Adwords allows advertisers to display their advertisements in the websites. Google search engine is the most used search engine in the world as we all know. Google also has productivity tools like Gmail and google Docs too. Google Translate, Google News, Google Fiber, Google Wave, Google Chrome and OS, Google Goggles, Google Wallet and Google Shopping Express are some of other Google products. 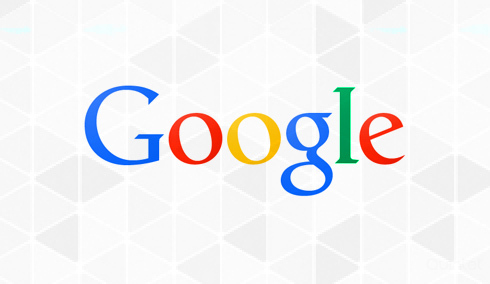 Quintet has an expert team dealing exclusively with Google products and services. Using Google Analytics our team can track visitors from all referrers, including search engines and social networks, direct visits and referring sites. We can also track display advertising, pay-per-click networks, email marketing and digital collateral such as links within PDF documents. We offer cost-per-click (CPC) advertising, cost-per-thousand-impressions or cost per mille (CPM) advertising, site-targeted advertising for text, banner, and rich-media ads, and remarketing using Google AdWords. Our team allows you to quickly and easily update tags on your website and to configure google products in the mobile apps that you have created. By using Google Custom Search, our web developers help you to save time which will benefit you monetarily. Our experienced web developers build custom web searches using Google Custom Search and assist you in integrating it to your website.We add options for filter, sort, refine and categorize Google Search. These custom search engines makes your searches more smooth. The search results exclude the unwanted data and thus the users are provided with timely search results. Google AdWords is an online advertising service that places advertisements at various parts of the list of search results Google displays for a particular search query. We make the choice and placement of the ads based on relevance of the search query, to the advertisement. We aid you with control of ad placements through location, language and IP targeting. Google AdWords Express, which is aiming at small business is a new feature of Google AdWords reduces the difficulty of managing an ad campaign by automatically managing keywords and ad placement. Google Analytics generates information about a website’s traffic and traffic resources and measures conversion and sales. It help you in changing the behaviour of your website content based on the user interest. We help you in tracking visitors from all referrers, including search engines and social networks, direct visits and referring sites with Google Analytics. We can also track display advertising, pay-per-click networks, email marketing and digital collateral such as links within PDF documents. With AdWords, we can review online campaigns by tracking the landing page quality and conversions or goals. We deal with sales, lead generation, viewing a specific page, etc. We are here to show high-level, dashboard-type data for the casual user and into the report set using Google Analytics. Also we assist you in identifying poorly performing pages with techniques such as funnel visualization, whether visitors came from referrers, how long they stayed and their geographical position using the same. We can also provide more advanced features, including custom visitor segmentation using Google Analytics. Google App Engine helps us to develop and run web applications. We are developing and hosting a wide range of applications in Google Data Centers for our clients. These applications are sandboxed and run across multiple servers. Google Tag Manager allows you to add or update your website tags and mobile applications for free. Our experts can manage your tags and configure your mobile applications. IT-friendly, mobile ready, easy testing, plays well with others, empowers agencies and rule driven features let us manage the tags with maximum efficiency. We are well proficient in tag technology, usability, accounts & user roles, tag firing rules and supported tags of Google Tag Manager. Our developers use Google AdSense service to manage, sort and maintain the advertisements which can generate revenue on either a per-click or per-impression basis. We put significant effort into maximizing the AdSense income by using a wide range of traffic-generating techniques, including but not limited to online advertising, building valuable content on the websites that attracts AdSense advertisements, which pay out the most when clicked, using text content on the websites that encourages visitors to click on advertisements. We deal with AdSense for content, AdSense for feeds, AdSense for search, AdSense for mobile content, AdSense for domains and AdSense for video. Bing is the web search engine from Microsoft. The main features of Bing includes interface features, media features, instant answers, local info, hotmail integration, integration with Facebook, Apple and Windows. At quintet we are using Bing services for developing software as well as web applications. Flickr is one of the largest photo and video managing website from Yahoo.They provide different methods for organizing photos through their detailed api documentation. Quintet offers efficient flickr api integration, and also implements required updates corresponding to any changes in the API. Twilio helps to merge capabilities like phone, messaging and VoIP to Web applications as well as Mobile softwares. We can create simple or advanced Voice and Messaging applications, without having to invest for some other expensive ready made telephony softwares. Quintet helps you to integrate twilio in your apps.